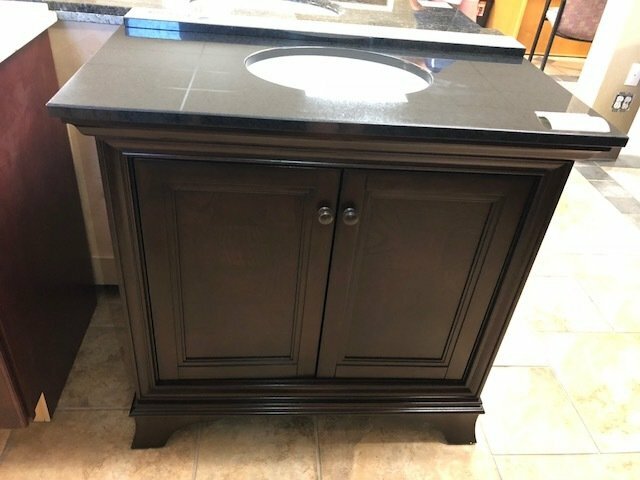 Dark brown stained 36" vanity cabinet with Black Granite Top and under mount sink. Also comes with a backsplash and pre-drilled holes for faucet. Sold as a set.